A new method of analytical representation and numerical simulation of multimode fiber interferometer signals is developed. A system of averaged normalized characteristics, called amplitude and spectral characteristics, is introduced for this end. Interferometer signals generated by fiber length variation or laser frequency modulation were investigated at various parameters of the fiber. Joint usage of amplitude and spectral characteristics proved to substantially broaden the dynamical range of measurements of weak and strong external disturbances of the fiber. 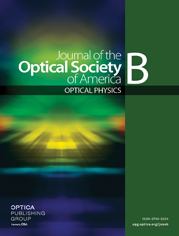 The method may be used for analysis and design of various optical sensor schemes with multimode fiber interferometers. It is also usable for estimating modal noise characteristics in optical systems with undesirable effects of intermodal interference.